Christopher Bell knew he had a challenge on his hands in Kentucky when he spun out during qualifying and was forced to the back of the pack to start the race, but for a young driver who simply loves to race, he wasn’t going to let that get to him. 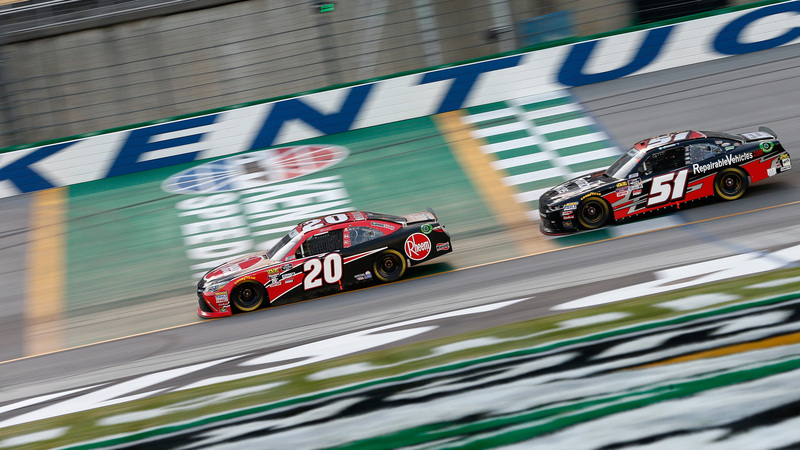 Despite having to come from behind, Bell methodically worked his way up the field and took the lead late Friday at the Alsco 300 at Kentucky Speedway, and he rode that lead to his second win of the season. He had to hold off a charging Daniel Hemric who matched him lap for lap in the late going, but he did more than enough to hold the lead for the last 30 laps to hold on. Bell also held off the Xfinity Series all-time wins leader in Kyle Busch who came in third place.